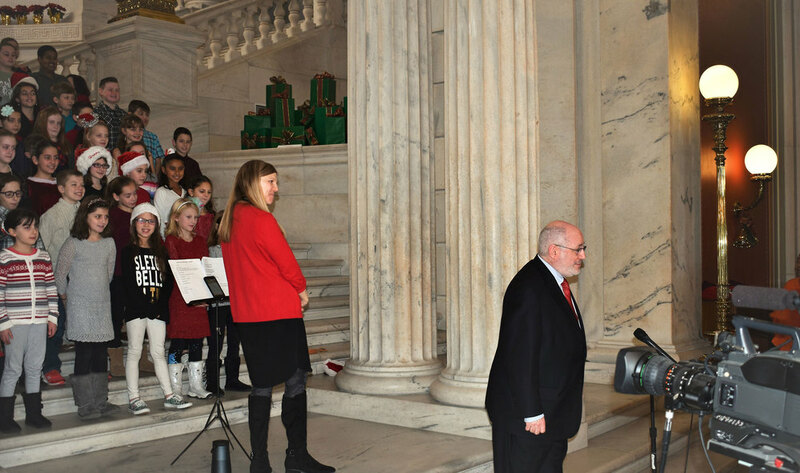 4th Graders from Anna McCabe and Raymond C. LaPerche elementary schools gave an exciting and highly charged performance Wednesday at the State Capitol in Providence. The annual concert series is sponsored by the Rhode Island State Council on the Arts (RISCA) and was broadcast locally. The students were led by music teacher Sandra Barrette and performed a number of holiday favorites. Enjoy this sample provided by RISCA!